A beautifully upholstered and studded stool. The Studded to Sit Stool will grace your dressing table in style and looks just as glamorous as a feature at the end of a bed. It will a touch of glamour to any living space and complete a seating arrangement when used as a pair. 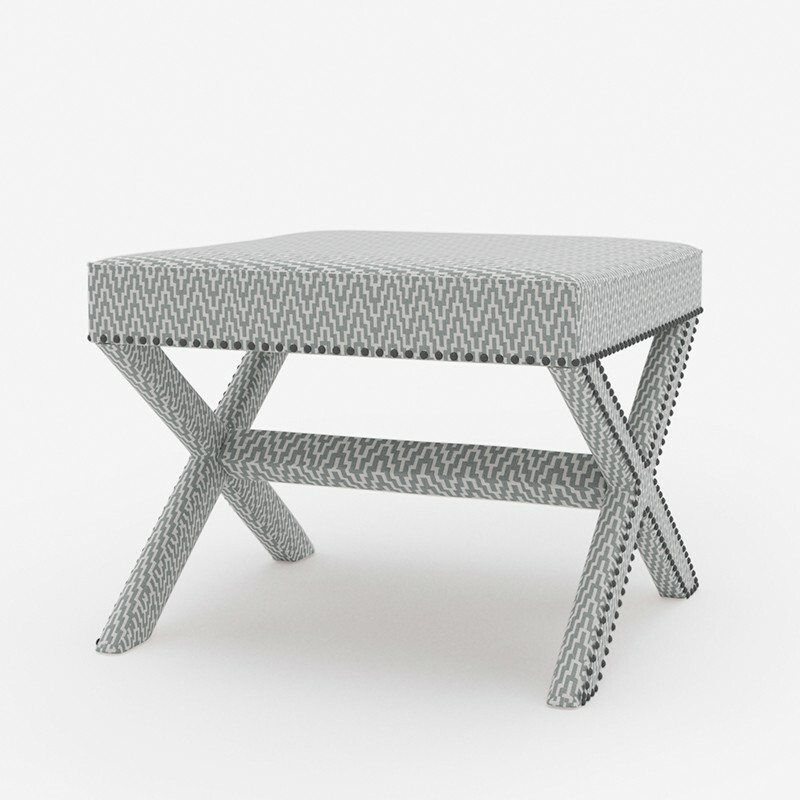 Available in a range of th2studio fabrics, this stool works particularly well in a geometric print.